You must be a member of the Dallas South Asian Culture Group to attend this activity. Would you like to join this group? Join me for another round of delicious Indian food on Saturday. 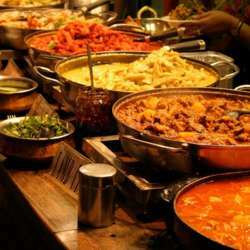 Their lunch buffet includes popular north Indian vegetarian and non-vegetarian dishes. The restaurant has decided to give us a generous discount and the buffet will cost $8.99 plus tax per person. PS: Be Respectful and UPDATE your RSVP accordingly!